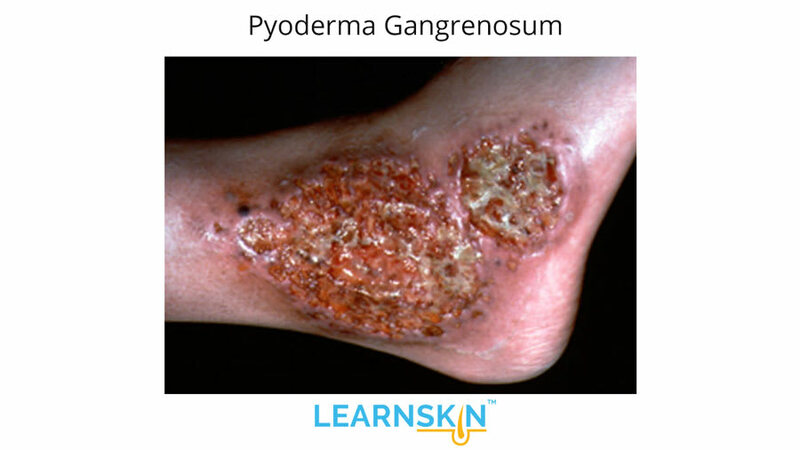 Pyoderma gangrenosum is an inflammatory condition of the skin that results most commonly in ulcers at sites of injury. 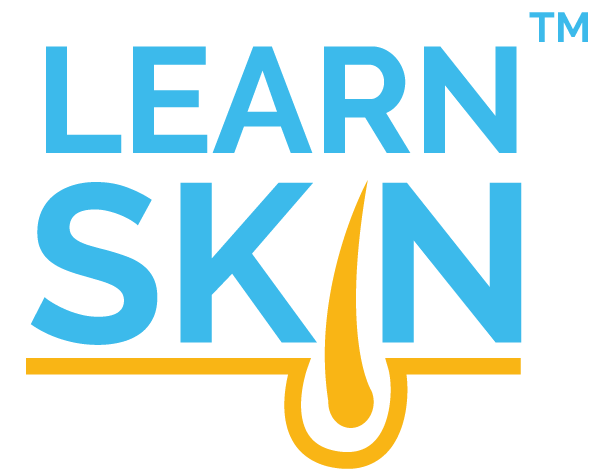 Development of the skin condition at the site of trauma is referred to as pathergy. Credits: "Duchnowska R, Ziajka E, Góralska A, Grala B - J Med Case Rep (2014)"
The classically described ulcer of pyoderma gangrenosum has “undermined borders” that appear as a slight accentuation of tissue at the ulcer periphery, surrounding a necrotic center. There are other rare forms of this disease that are discussed in this review. The cause for this condition has not been identified but it appears to be due to overactivity of inflammation in the body. The condition can occur spontaneously but is often associated with other medical conditions. For example, pyoderma gangrenosum is associated with inflammatory bowel disease, rheumatoid arthritis, and hematologic (blood) disorders. Many other conditions including infections, malignancy, and autoimmune disease have been associated less often with pyoderma gangrenosum. Treatment regimens will vary depending on the severity and extent of disease. In mild conditions, topical treatments may suffice and have included in the past: topical steroids, tacrolimus, sodium cromoglycate, nicotine and 5-aminosalicylic acid. More severe cases may require systemic medications such as: corticosteroids, azathioprine, dapsone, methotrexate, cyclosporine, and drugs in the category of biologics (ex: adalimumab) as some of the options. Often a combination of medications is used and will need ongoing management and care by a qualified healthcare professional. ​1. Patel F, Fitzmaurice S, Duong C, et al. Effective strategies for the management of pyoderma gangrenosum: a comprehensive review. Acta Derm Venereol.2015;95(5):525-531; PMID: 25387526. 2. Langan SM, Groves RW, Card TR, et al. Incidence, mortality, and disease associations of pyoderma gangrenosum in the United Kingdom: a retrospective cohort study. J Invest Dermatol.2012;132(9):2166-2170; PMID: 22534879.